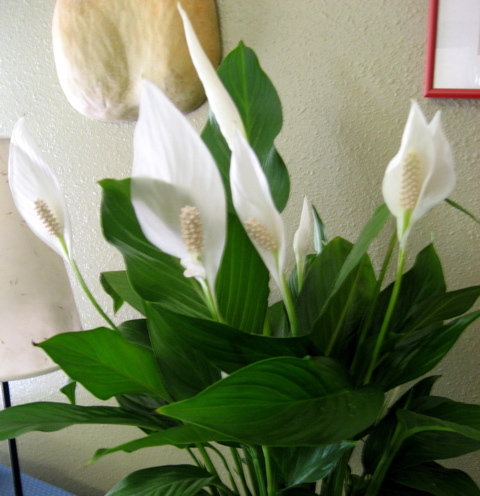 One of my sons gave me a peace lily (Spathiphyllum sp.) 15 years ago. 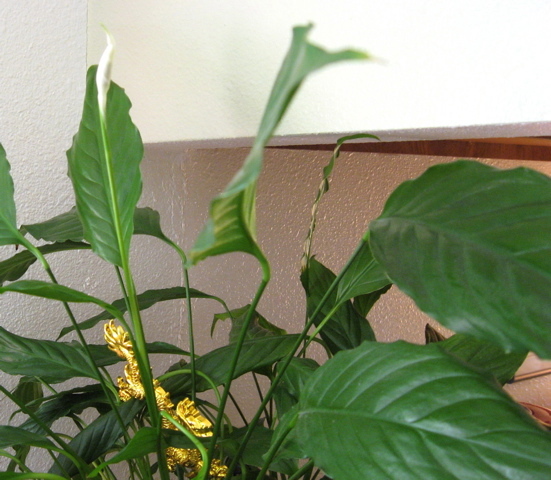 It has always produced healthy green leaves, but it hasn't flowered in probably 10 years. For many years, it was the only houseplant I had. I keep it mostly because it was a gift from my son. Three weeks ago, a friend gave me another peace lily. As you can see, it is very vigorous and full of blooms. I put it next to the older lily while I made space for it across the room. 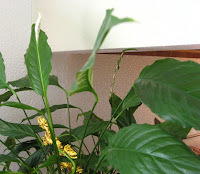 A few days ago, I was astonished to see that the older plant is starting to bloom! I don't think this is a coincidence. My years of gardening experience have convinced me that plants communicate with each other. I suspect that the presence of the younger plant has inspired my old one, reminding it of how much fun it is to bloom and thrive. Do you have a similar plant story? If so, please share it. And if you are skeptical about plant communication, you might want to read this article about plant survival mechanisms. Just as intriguing is new evidence that plants can "talk and hear."